The simple style of this storage building makes it both affordable and practical. 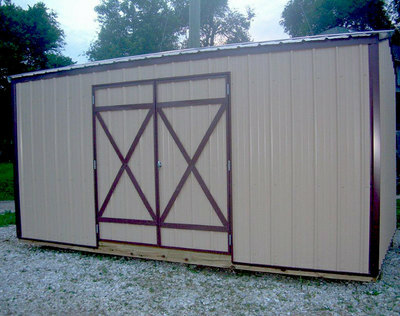 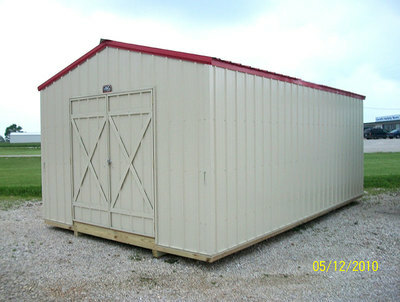 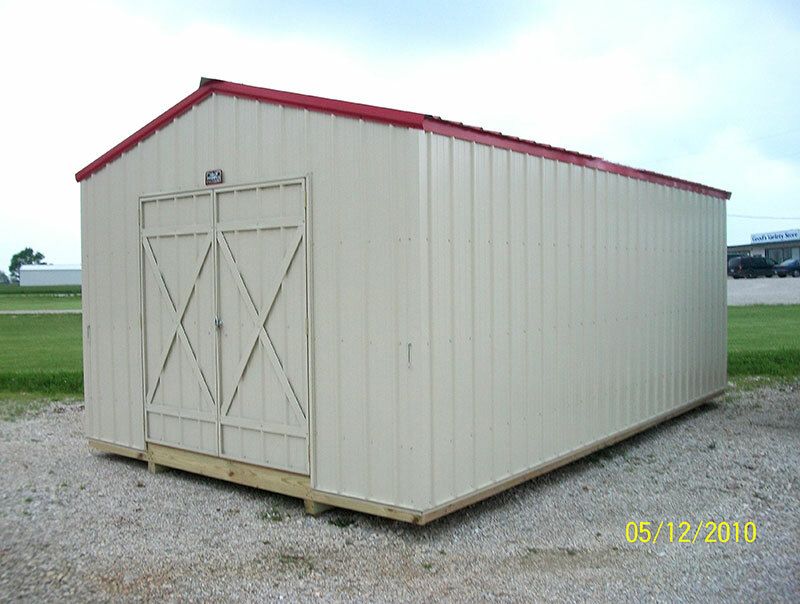 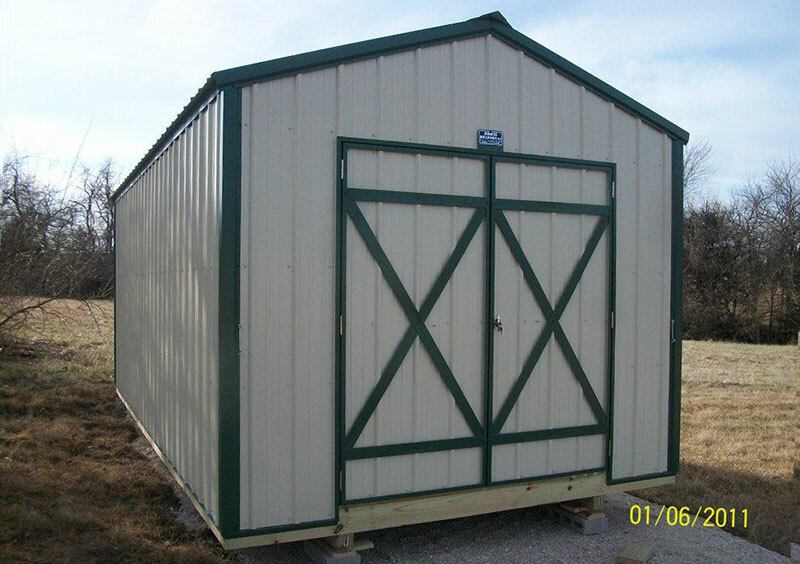 Standard 7 ft tall sidewalls and a 6 ft wide door opening make this shed easy to use. 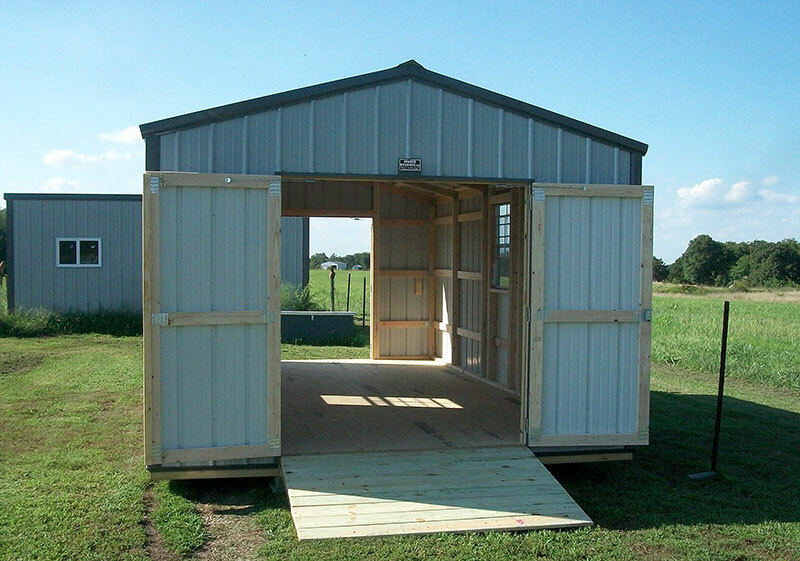 To create an even more useful building, consider adding vents or windows to remove heat and moisture, skylights to add free lighting, a workbench or shelves to increase usable space, or a ramp to make it easier to get in. 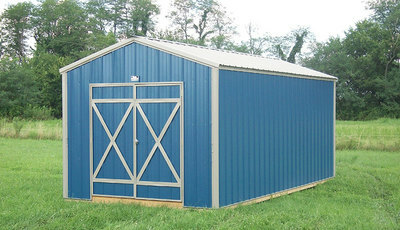 3/4 in. 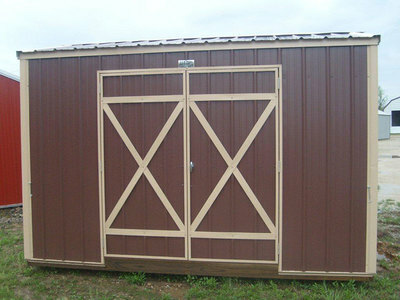 Tongue & Groove LP Advantech gives you a beautiful, durable overlay for a premium appearance. 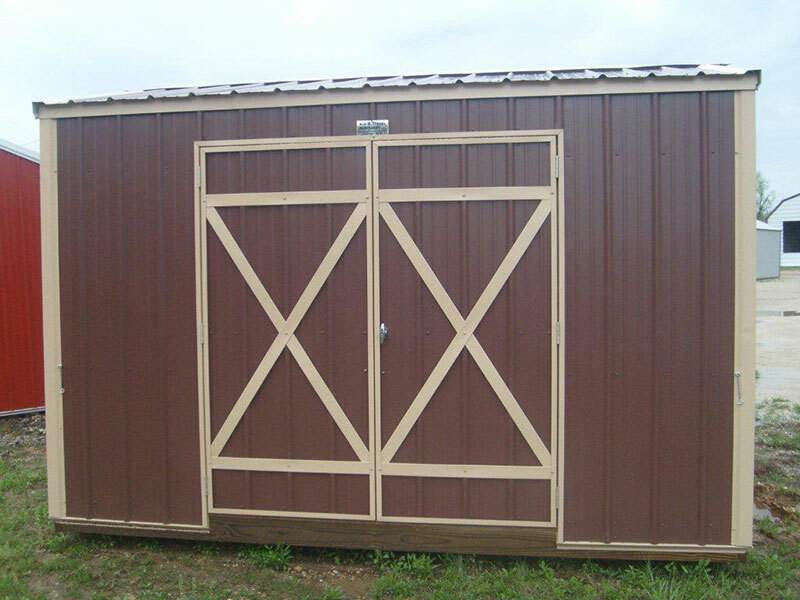 It has treated wood strand technology for enhanced durability and the SmartGuard resists fungal decay and termite damage. 2×4 studs and rafters are plated together into a 1 piece truss wall construction using steel plates for more strength, durability and a professional look.